WHAT: Set in the near future, when Earth’s resources have all but been depleted, former astronaut Cooper (Matthew McConaughey) joins a group of explorers – Dr. Amelia Brand (Anne Hathaway), Doyle (Wes Bentley) and Romilly (David Gyasi) – on a secret NASA expedition through a newly discovered wormhole in the hopes of finding an inhabitable planet for mankind. WHY: Shrouded in secrecy throughout production, Christopher Nolan’s latest sci-fi mindbender was originally intended to be directed by Steven Spielberg, who first sparked the idea back in 2006. But when he dropped out to focus on other projects, Nolan took over the reins, and it’s hard to imagine a more fitting replacement. Unfortunately, while “Interstellar” is the filmmaker’s most ambitious movie to date, it’s also one of his least accessible, filled with complex scientific ideas (from black holes to the space-time continuum) that make for incredibly dense viewing at times; and in the case of the more theoretical concepts, results in some silly moments as well. The main story is actually quite simple, dealing with well-worn themes like love, survival and time, which is why it’s strange that Nolan wastes so much of the latter (169 minutes, to be exact) trying to make his point. 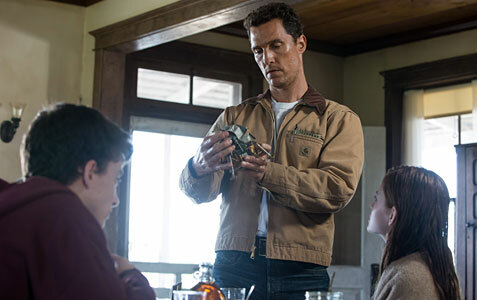 The acting is all top-notch, with great performances from Matthew McConaughey, Anne Hathaway and Jessica Chastain, but the arrival of a big movie star in the final act proves distracting. There are also some really amazing visuals and genuinely heartbreaking scenes, though it’s ultimately a disappointingly messy affair, lacking the discipline and uniqueness of Nolan’s past films like “Memento,” “The Dark Knight” and “Inception.” It was never going to live up to the colossal expectations placed on it by fanboys and the media, but a movie like “Interstellar” still should have been a lot more, well, stellar. EXTRAS: There’s a 14-part making-of documentary that runs nearly two hours long and covers just about every aspect of the production process, as well as a featurette on the science of the movie narrated by Matthew McConaughey. WHAT: When Vice President Selina Meyer (Julia Louis-Dreyfus) learns that POTUS isn’t seeking re-election, she begins putting together a campaign team in the hopes of taking over the Oval Office. The usual screw-ups and humiliation follow, only this time around, all of America is watching. WHY: You’d think that calling your show “Veep” would box you into a corner when it came to exploring potential career changes for the title character. After all, there’s no way Selina Meyer can have any position besides Vice President, otherwise it doesn’t make sense, right? Technically, yes, but that doesn’t seem to have bothered creator Armando Iannucci, because the third season of his HBO series is entirely about Selina campaigning to become the next Commander in Chief… and perhaps more surprisingly, actually gets the job when the current president resigns. That was a bold choice (and one that audiences won’t see the full effects of until the show returns next month), but it takes the series in an intriguing new direction while still allowing for the usual political-driven antics. The addition of Sam Richardson as the incompetent aide assigned to Selina on her book tour is completely unneeded (and not very funny, either), but the rest of the cast continues to fire on all cylinders, including unsung heroes like Timothy Simons, Kevin Dunn and Sufe Bradshaw. 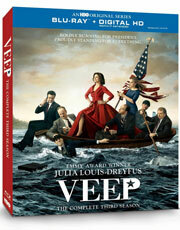 Though Julia Louis-Dreyfus receives a majority of the attention from critics and award groups for her hilarious portrayal of Selina Meyer, and deservedly so, “Veep” has always been a team effort, and that’s never been more evident than this season. EXTRAS: The two-disc set includes four audio commentary tracks with various cast and crew, as well as some deleted scenes. A coworker of mine is hoping that he can convince his wife to take their two girls to see “Big Hero 6” while he ducks into another theater to see Christopher Nolan’s new film “Interstellar.” Here’s the irony: the moral of “Interstellar” is that he should see “Big Hero 6” with his kids instead. This is both an impossibly dense movie, and a deceptively simple one. The quantum physics talk and the hypotheses regarding time and space turn out to be a bit of a red herring. The true essence of “Interstellar” is about love, and Anne Hathaway’s character sums it up perfectly: time can contract and expand, but it can’t go backwards. In a nutshell, Nolan spent $165 million and 169 minutes telling us to seize the day with our loved ones. That’s a great message, and he pulls a number of incredible technical achievements in the process, but with “Interstellar,” Nolan has fallen into a trap that has caught many before him: the pitfalls of autonomy. Set in an undefined but presumably not-too-distant future, Earth is suffering another Dust Bowl period, crops are dying, and there is reason to believe that the children will be the last generation Earth will ever know. 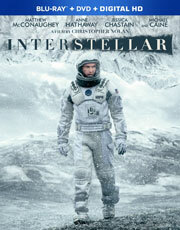 Former astronaut Cooper (Matthew McConaughey) has taken up farming to help the cause, but a series of strange events leads Cooper and his daughter Murphy (Mackenzie Foy) to an off-the-grid NASA facility, where a team is preparing to investigate a series of planets in a far-off galaxy, courtesy of a wormhole, to see if life is sustainable. They need a reliable pilot, though, and they ask Cooper if he will join them. 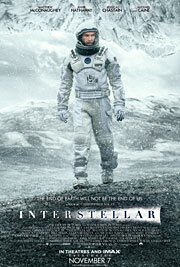 Cooper is understandably conflicted, since there is no guarantee that he will return, but he ultimately decides that the salvation of the human race is the nobler goal, and he joins Amelia Brand (Hathaway), Doyle (Wes Bentley), and Romilly (David Gyasi) on a boom-or-bust mission to find another Earth.